I gotta tell ya. These ladies are putting me to shame. I did laundry today, and I did have a sense of accomplishment. Please go say hi and welcome these bloggers to our “circle of friends”! Ronda at Batchelor’s Way is new to blogland. You really need to see what she’s done to her sons’ rooms. Here’s just a sneak peak. She also took on the brave task of updating her island, and it turned out spectacular! WHY can’t I take the plunge and do this? Chrissie Grace from…well…Chrissie Grace has so much eye candy, you’re not going to want to leave! Seriously, she’s such an artist, and I love seeing all the things she can do. She’ll even throw a tutorial in there from time to time. Lucky us! Looks like she caught on to the burlap craze, eh? Can we blame her? The #5…she did it. Nice! Mandi at Blessed at Home is smack dab in the middle of some BIG projects! She’s nearly done with the huge task of resurfacing her kitchen cabinets! You must run over there to see what these looked like before. She’s kind enough to give a break down of what was done. I’m tired just from reading it! My favorite? Her husband just built this library for her! Yes, I said her husband built it. Yes, I said she has a library. Hello! I’m so envious, I don’t even know if we can be friends! I can’t WAIT to see how she fills it all up! Okay….I guess I have been doing something. Below is a picture my son took of me. Apparently, he needs to brush up on his photography skills. Can you tell what’s been keeping me busy for the past three years week? It’s almost ready. ~*~Remember—if you’d like to have your blog featured, or you’ve seen something really cool that could/should be shared, just e-mail me at ccarey1@hotmail.com. Shut up...that library is awesome! I am saving it to my inspiration file right this minute! I too am so jealous of that library!!!! I too, covet the library. But I am also quite fond of the elephant on the burlap...that just made me smile. I'd like that library... I have soo many books and no room. This post has given some inspiration to get me moving on my kitchen. Great post! It is my dream (and intention) to turn any future dining room into a library myself, so I must go check out her blog. I love discovering new bloggers and am glad you do this weekly feature! I will have to check out those blogs! thanks! P.S. can't wait to see what you've painted. Also, I love the cute painted tiles with the trees, so cute! Library!!!! I think my husband will kill me if I add that to my must-have list, but I'm tempted. It also looks like a perfect craft room! That library is amazing and I am very envious as well. I am anxious to see what you're painting... a mural perhaps? oh my goodness love them all!!! so many beautiful projects!! WANT the library badly- such a luxury!!! Wow! Great features! That library is to die for. Off to explore some more! P.S. I can't wait to see what you have up your sleeves! Looks fun! Gret features....esp. love the first one! And I want to see what you've been working on! Hi! I'm new to your blog. Nice to "meet" you! I'm enjoying your posts! That library is amazing. 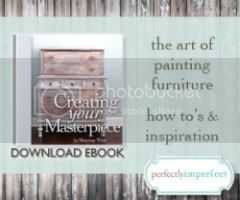 I love the little burlap lamp and I think your painting looks amazing! Thanks for the links - I love checking out new blogs. And I really like the picture of the library. Drooling over that library - fantastic! Your blog is fabulous...will be back often...and I visited all the other blogs you talked about...Just blog hopping tonight and found yours. I have enjoyed reading it.. I love seeing all the different blog designs. Have a Happy Sunday!